Do You Have Home Sewer Line Coverage? 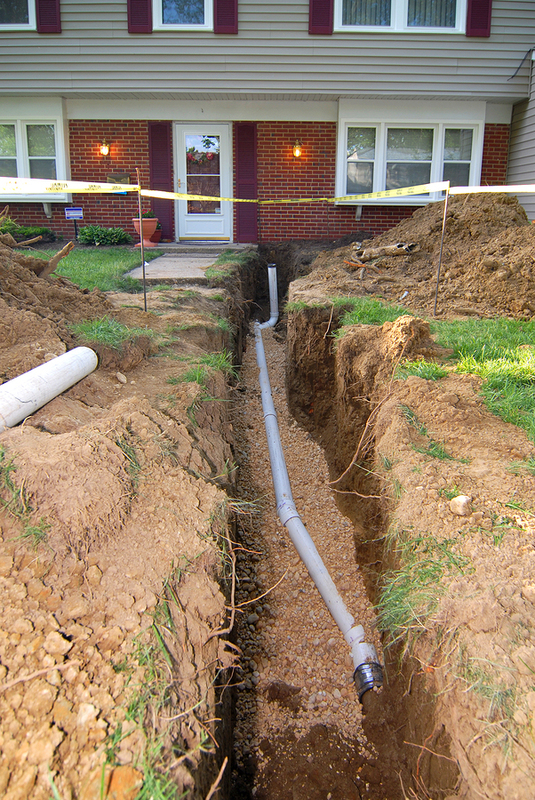 Did you know that you are responsible for the sewer line from your house to the street? What happens when a tree root infiltrates your sewer line? Most home owners in the Des Moines area know they can purchase water line insurance coverage from the street to their house but the sewer line is not included in that coverage. Clay – From 1900 to about 1920, clay was often used in home sewer line construction. Generally very porous, clay has a tendency to soften and crack, which leads to problems with tree roots growing inside the pipes and clogging them. Concrete – In the 1920s and 1930s, concrete was often used. Very prone to cracking and breaking, this material also resulted in problems with tree roots and leakages. Cast Iron – Cast iron has been used almost since the beginning, but was very popular in the 1950s and 1960s. While extremely strong, it has a tendency to rust and corrode over time. Orangeburg – A very popular sewer line material from the 1950s to the 1970s, Orangeburg was made of layers of compressed layers of coal tar and wood. The trades virtually abandoned Orangeburg when it was deemed too soft and apt to deteriorate underground. PVC – Polyvinyl chloride, or PVC, is the most commonly used material in modern sewer pipes because it’s durable, relatively inexpensive, resistant to chemicals and easy to joint. It is a plastic derivative that comes in either white or grey. ABS – Acrylonitrile butadiene styrene, or ABS, is also a plastic derivative, most often seen as a black pipe. It, too, is extremely durable and heat resistant, although it can be affected by ultraviolet rays. While similar in dimension, ABS and PVC should not be used together in sewer lines because of their different expansion rates. Most municipalities now have codes that dictate the type of material that should be used for your sewer line, usually PVC, ABS or sometimes cast iron. It is important to check with your local building department or sewer septic contractor before doing any sewer line installation or repair. 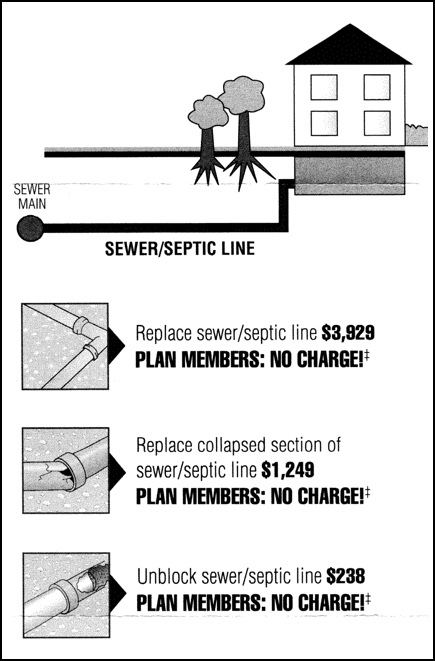 If you own a home or are buying a home built prior to 1970, you may be wise to purchase Sewer/Septic Line coverage. One company in our area that provides this type of insurance is HomeServe. Click To Download contact and coverage information from HomeServe. Currently annual coverage only costs $120/year. How do I go about getting sewer line insurance? Hey Rene! Here’s a blog post I wrote about sewer line coverage. There is a link in the article that takes you to the sewer line coverage website!! Very Cool blog and the great article about on Home Sewer Line. Cheers author your Awesome topic and outstanding Content. Really I like it and Looking forward to reading your Upcoming post.